Jose Morales Gutierrez “Chepo” was born on October 16, 1953 in La Villita a ranch near the city of Cuquio, Jalisco, Mexico. He married Conception (Figueroa) Gutierrez in Santa Barbara, California on July 27, 1975. On September 29, 2015 he woke up watered his garden, then laid down took take nap and passed away peacefully in his sleep after suffering for many years with severe Rhumetoid Arthritis. Chepo is survived by his children Roberto Gutierrez, Rebecca Julia Gutierrez, Alejandro Gutierrez (daughter in law Yasmin Gutierrez), Hortencia Gutierrez and Guillermo Gutierrez. “Tata” will be missed by his beloved grandchildren Alejandro Julian Gutierrez, Antonio Martin Gutierrez, Tomas Alberto Gutierrez, Fernanda Silva, Maximo Gutierrez, Arianna Malu Gutierrez, and Andres Orion Gutierrez. He is preceeded in death by his parents Rebeca Morales and Ramon Gutierrez; brothers Salvador and Samuel; sisters, Maria and Alicia. 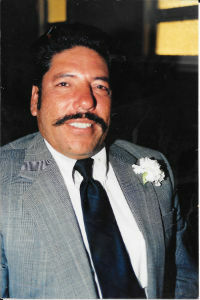 Chepo will be remembered by his surviving siblings Carmen, Antonia, Ofelia, Amalia, Justina, Ines, Faustina, Francisco, Ramon, Lourdes and Leonor and many nieces and nephews. Jose will be cremated and his ashes buried in Cuquio, Jalisco. Arrangements by Pueblo del Rey Funeral Services. The Rosary will be held at Holy Cross on Wednesday, October 7 at 7:00 PM, with a mass following on Thursday at 10:00 AM.